UPSC has recently published the CDS 1 2019 result, around 7953 candidates cleared the CDS 1 2019 written exam for IMA, OTA, AFA and NA. We are getting several emails from the candidates asking for the CDS 1 2019 SSB interview dates, especially for the candidates who have cleared it for the OTA. As we all know, OTA SSB interviews are conducted after IMA because the course date of IMA is before OTA. In this article we are going to explain the complete procedure of CDS SSB interview date and what actions are required from successful candidates. 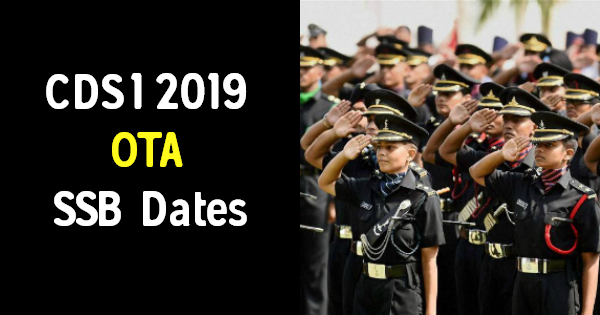 Candidates who are waiting for OTA SSB interview dates for CDS 1 2019 can keep checking the official website, as per the official website, SSB interview for 111th SSC Course (NT) Men/25th SSC Women (NT) (Oct 2019) will be tentatively carried near August – Sep 2019. 148th Course IMA (Jan 2020) – Candidates can select the SSB Interview dates for IMA 148 SSB Interview at joinindianarmy.nic.in. Candidates of IMA-148 (DE) Course (CDSE (I)-2019) who have successfully cleared the UPSC written exam are requested to register on www.joinindianarmy.nic.in if not already registered. Selection centre will be allotted ONLINE soon and it will be notified on the same website in a months time. INA (Jan 2020): Candidates are suggested to keep an eye on the joinindiannavy and joinindianarmy website for the same. Indian Airforce 207 F(P)-: AFSB Interview date will be updated on AFCAT CDAC website. 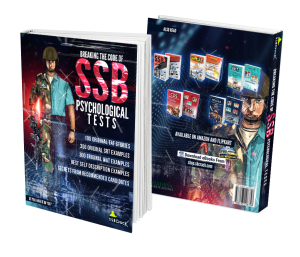 111th SSC Course (NT) Men/25rd SSC Women (NT) (April 2020) : CDS 1 2019 OTA SSB interview will take some time and it usually happens after IMA SSB Interview. Centre allotment and seeking choice of SSB dates for Short Service Commission courses (Men and Women) commencing in April 2020 will be tentatively carried out by week of August – Sep 2019. Note: SSB Interview UPSC Entries (NDA and NA/IMA/SSC Non Tech (Men)/SSC Non Tech (Women). Candidates of UPSC Entries viz NDA and NA, IMA, SSC Non Tech (Men) and SSC Non Tech (Women) successful in UPSC written exam are not required to carry their UPSC admit card/application at the time of SSB interview. They are required to carry identity proof with requisite documents mentioned in the call up instructions of the SSB centers. Their credentials will be checked against details received from UPSC.